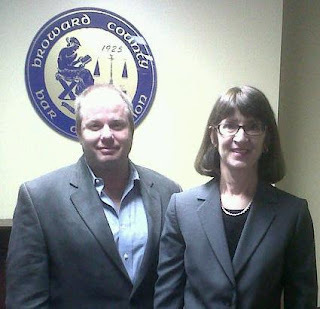 The Blogger's Breakfast is a monthly program hosted by the Broward Bar Association and their Blog Administrator Margaret Grisdela of Legal Expert Connections. The audience, usually a nice mix of newbies and veteran bloggers, creates a forum for the exchange of ideas that all participants benefit from. This month, guest speakers David Berkowitz of Netprofession and Margaret Grisdela of Legal Expert Connections showed us some free and easy ways to accelerate the performance of a blog. If you have considered starting a blog or if you are simply curious about social media as it relates to marketing your practice I highly recommend you attend a future Blogger's Breakfast. I agree it was a great event. I always enjoy interacting with other bloggers. Thanks for keeping the list together, Josh.